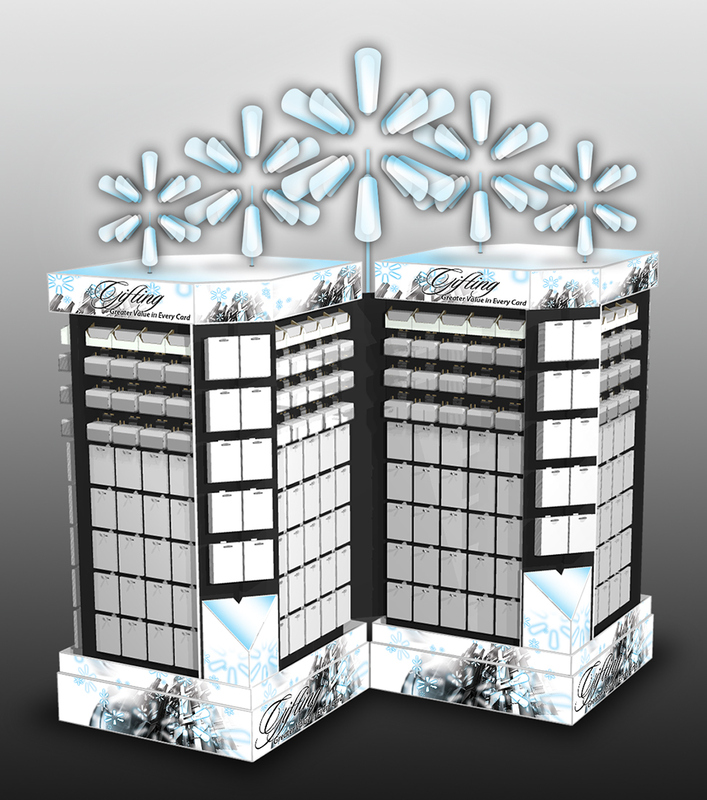 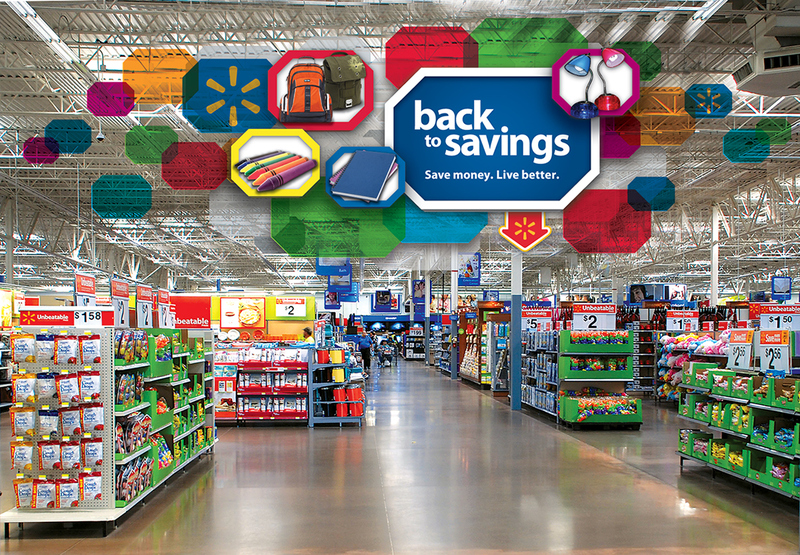 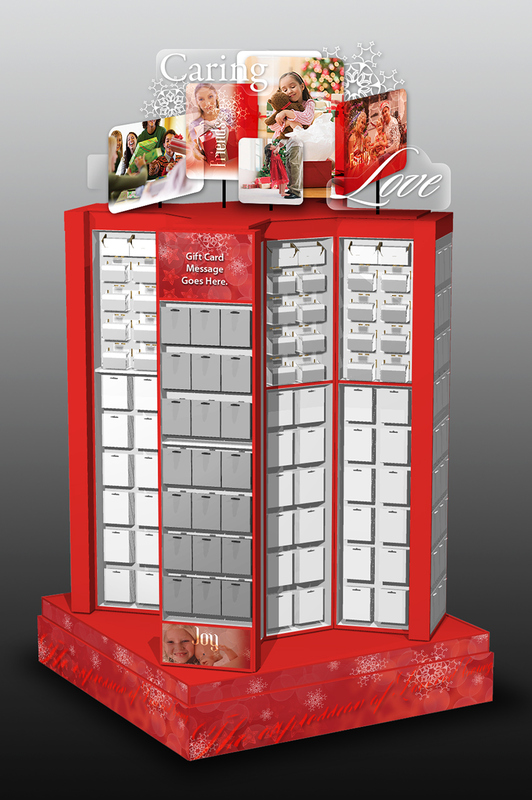 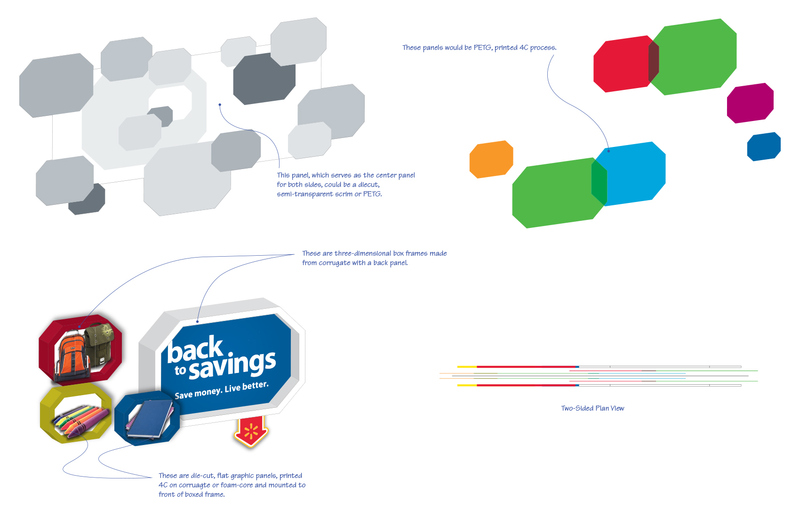 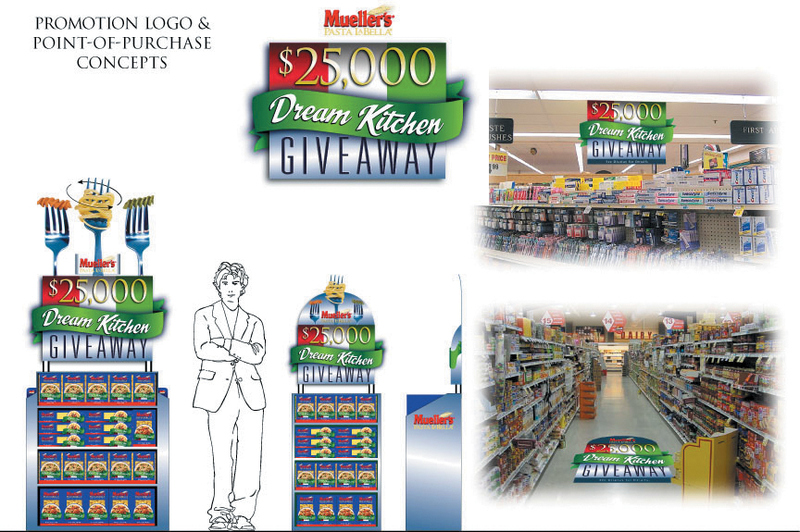 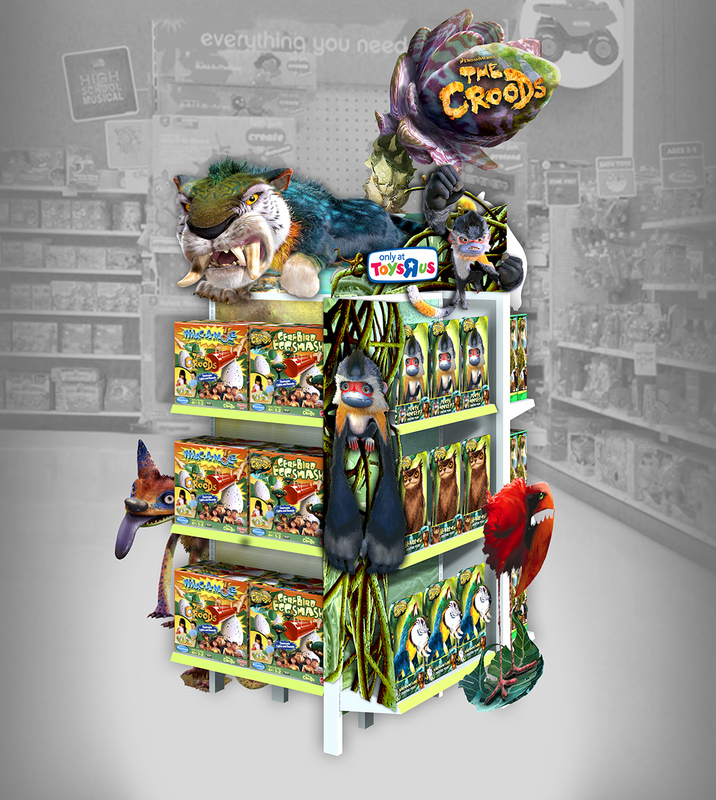 In-store environment design; including displays, signs, floor graphics and more. 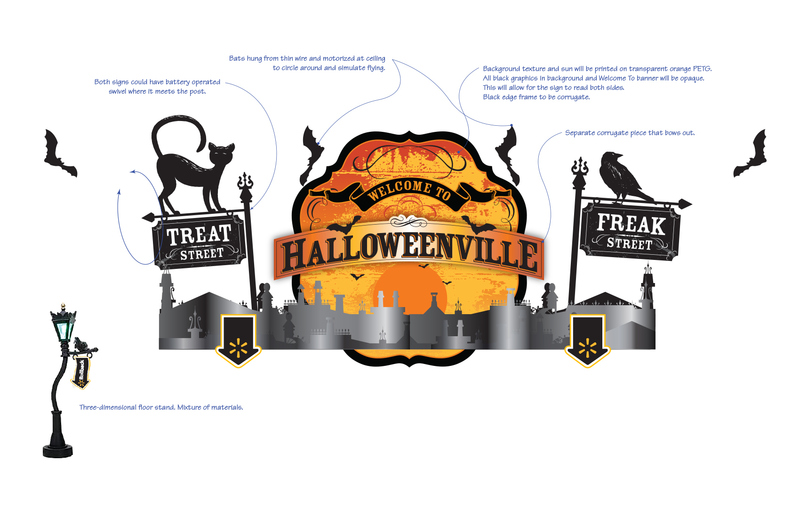 Entry sign concepts for Walmart at Halloween. 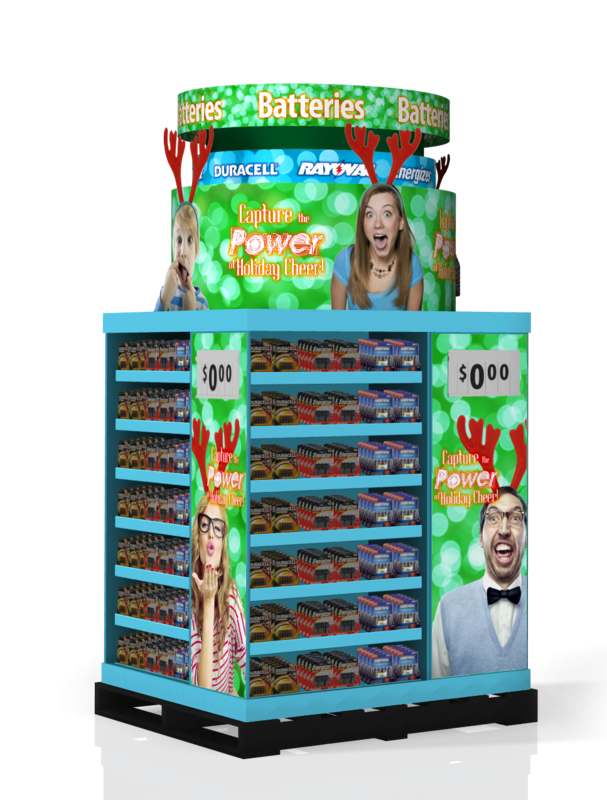 Battery operated motor with bats on wire to indicate they're flying around the mocked-up buildings. 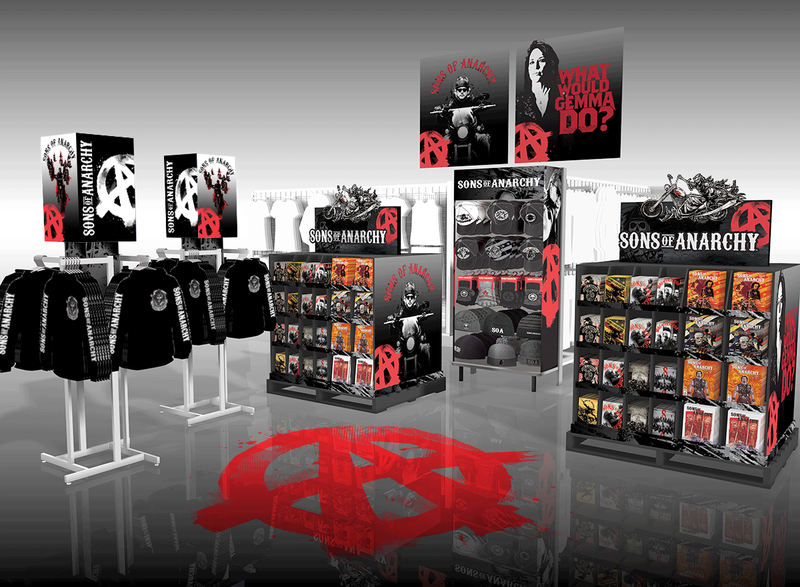 The images below are concept design renderings for creating an in-store departmental environment for 20th Century Fox and their brand "Sons of Anarchy." 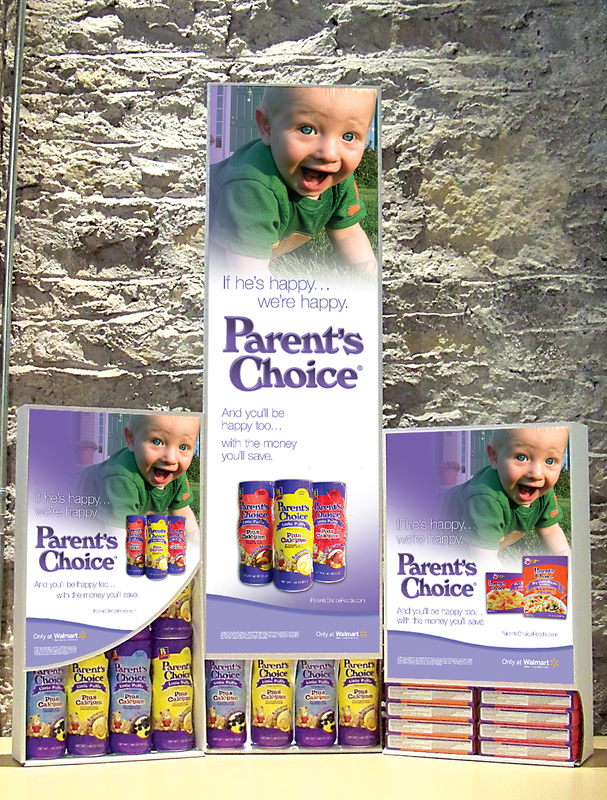 Gravity feed display for Parents Choice baby food. 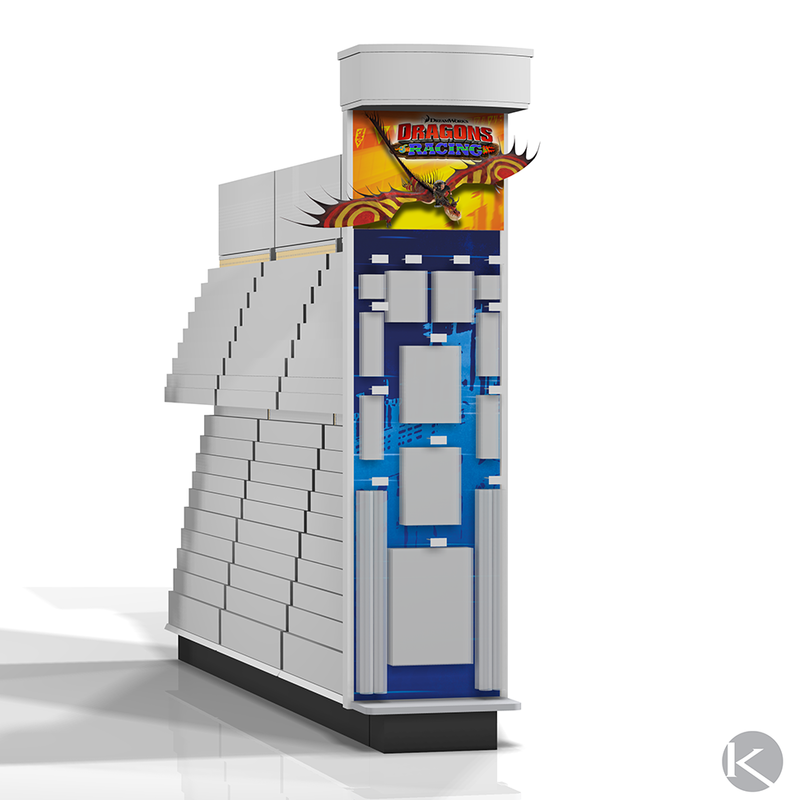 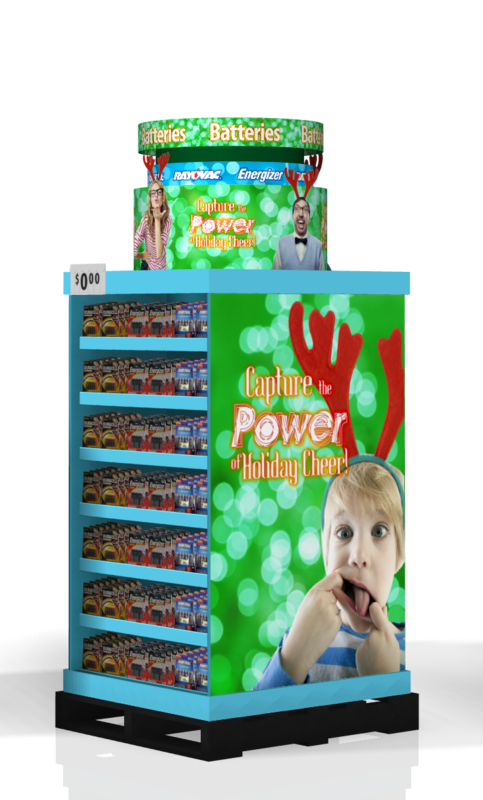 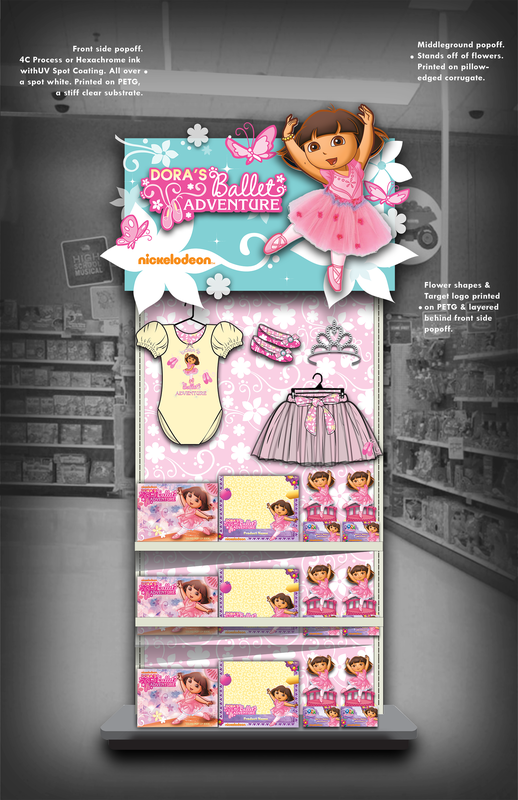 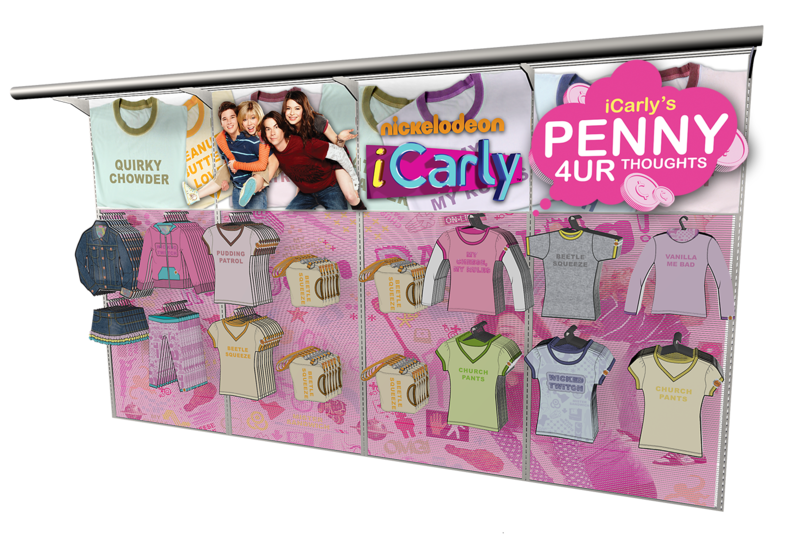 Instore display design solutions for various Nickelodeon brands. 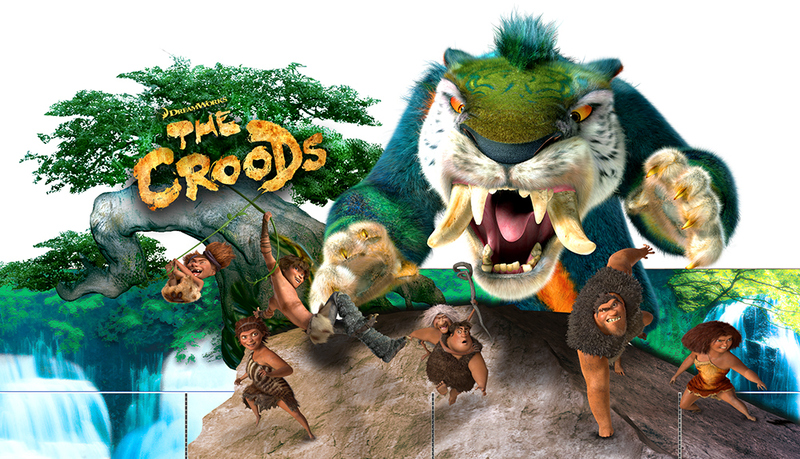 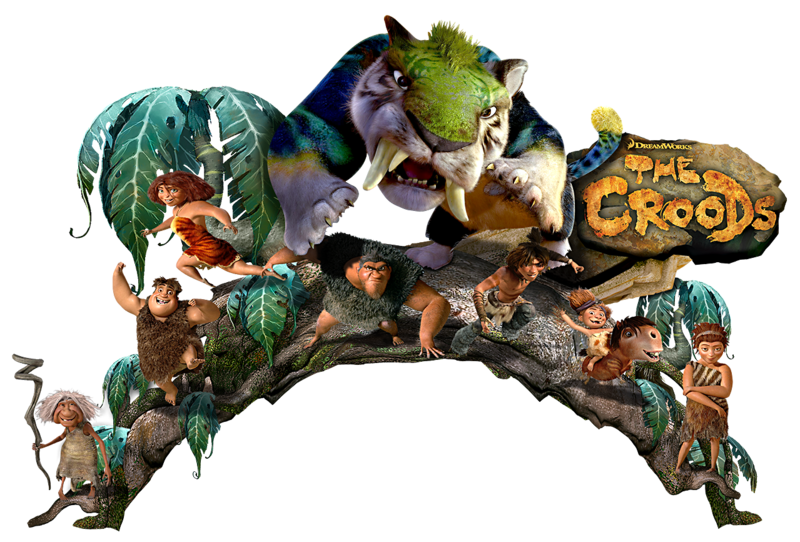 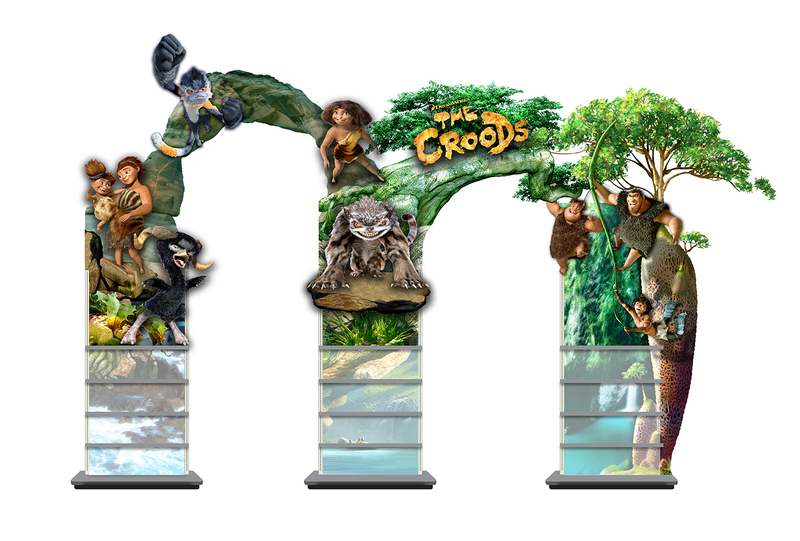 The renderings below were concepted for Dreamworks in promotion for their movie "The Croods." 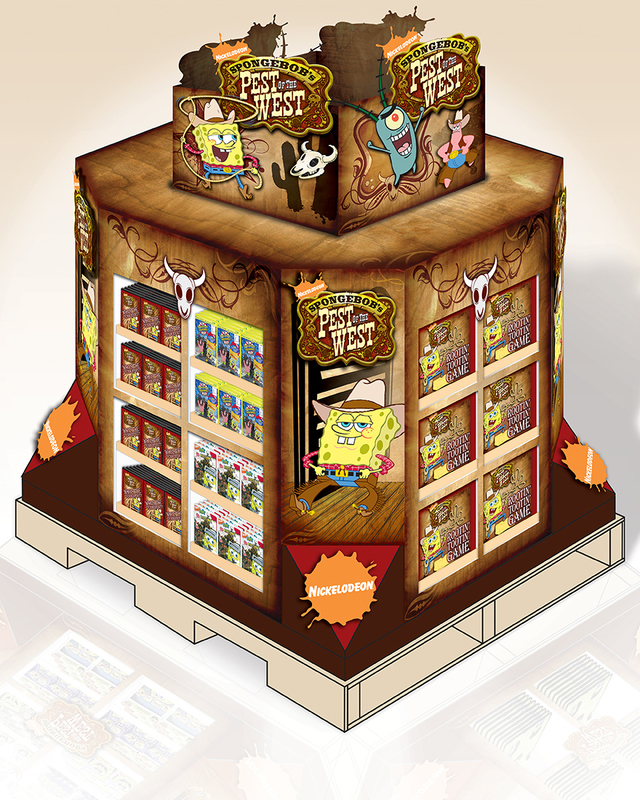 Showing how their products could be presented in Walmart for a 24' section, and 3 adjacent endcaps. 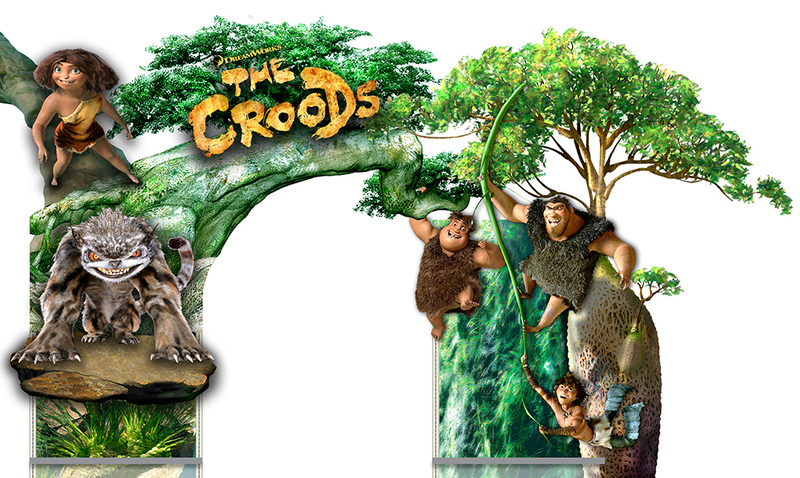 The renderings below were concepted for Dreamworks in promotion for their movie "The Croods." 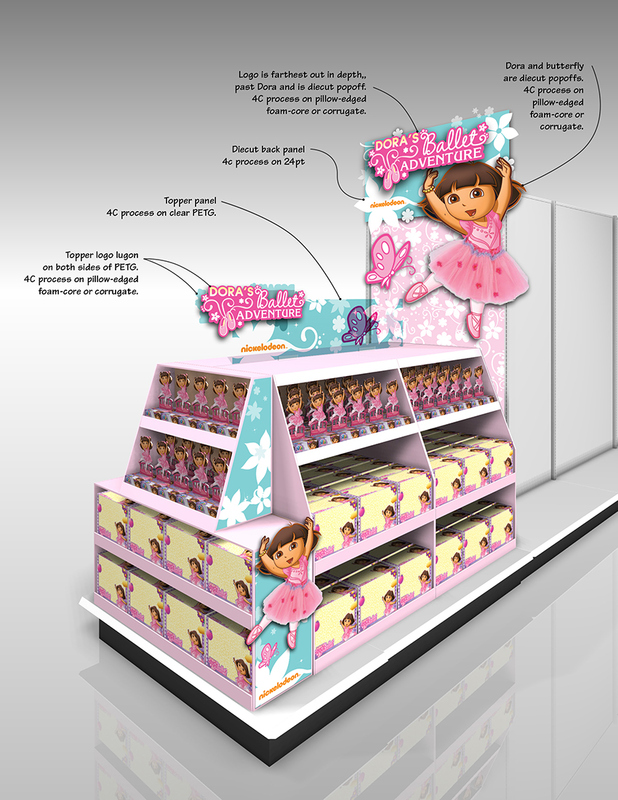 Showing how their products could be presented in Toys R Us in their Feature section, a 4-way and an endcap. 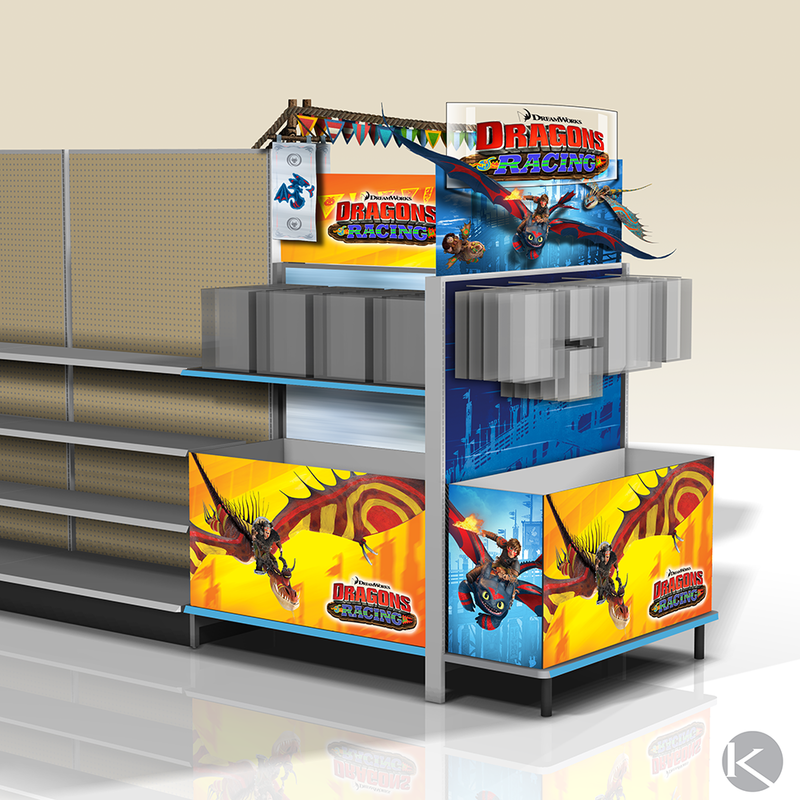 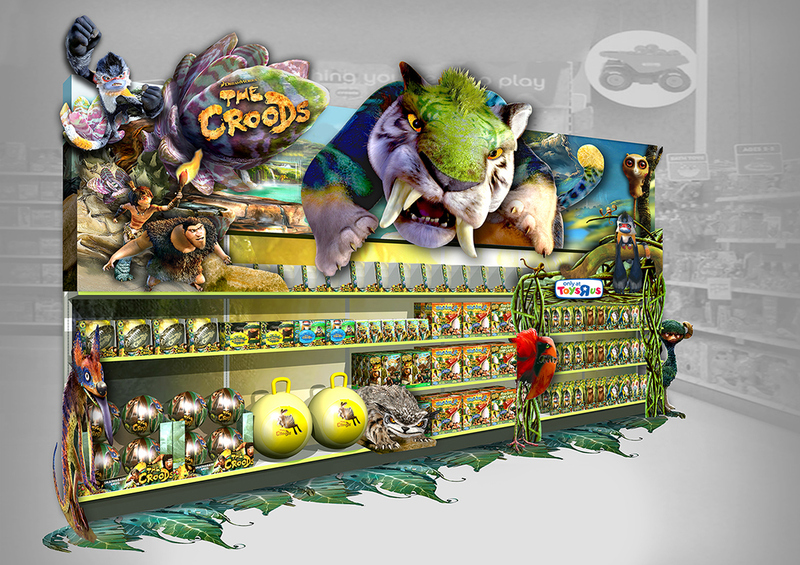 Instore concept renderings for Dreamworks promotion of Dragons 2. 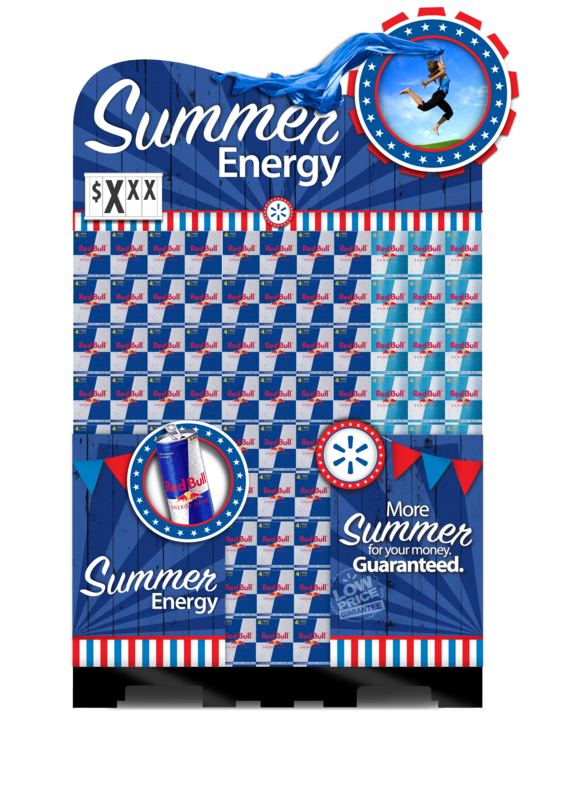 Pallet display concept for Red Bull. 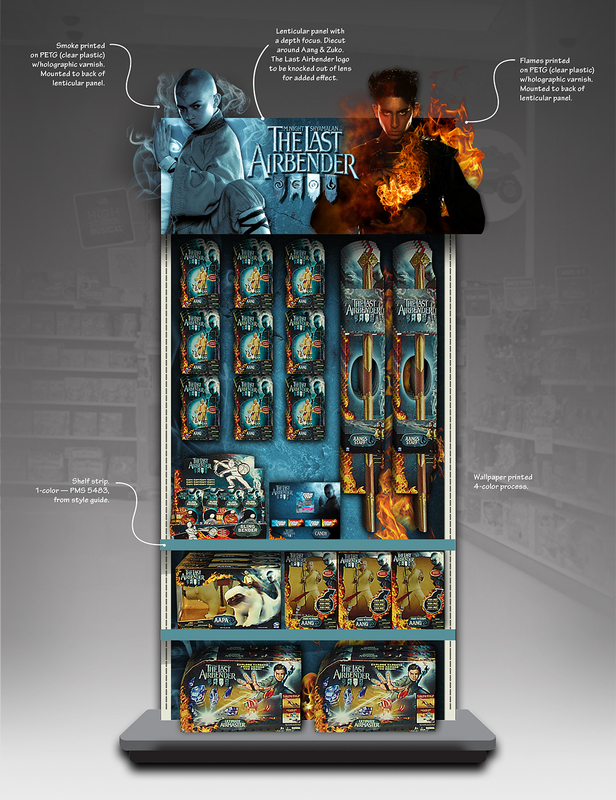 Endcap concept for Nickelodeon's promotion of the movie The Last Airbender for use in Target stores. 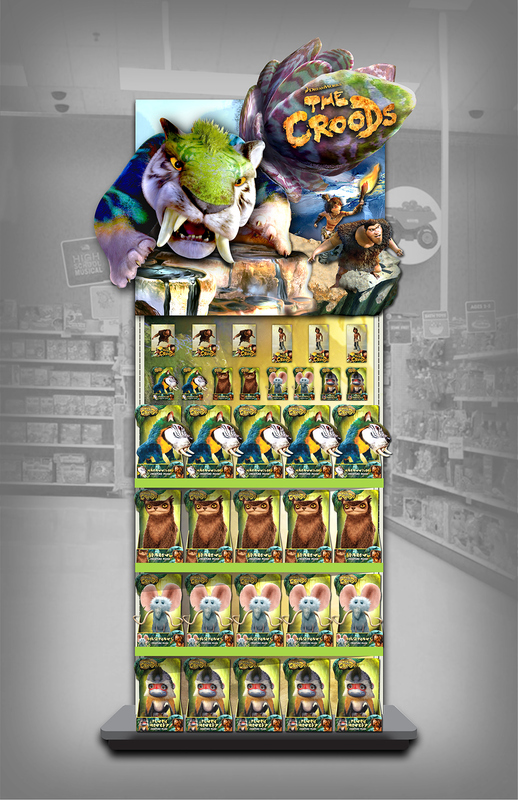 The motion is to indicate the use of a lenticular panel, along with printing on clear PETG that is a lug-on and sits in front of the lenticular panel.